The new US-China trade agreement has the potential to bring about positive changes for both the American and Chinese economies. From the time of the 2016 US presidential elections through April 2017, US-China relations had been in steady decline. 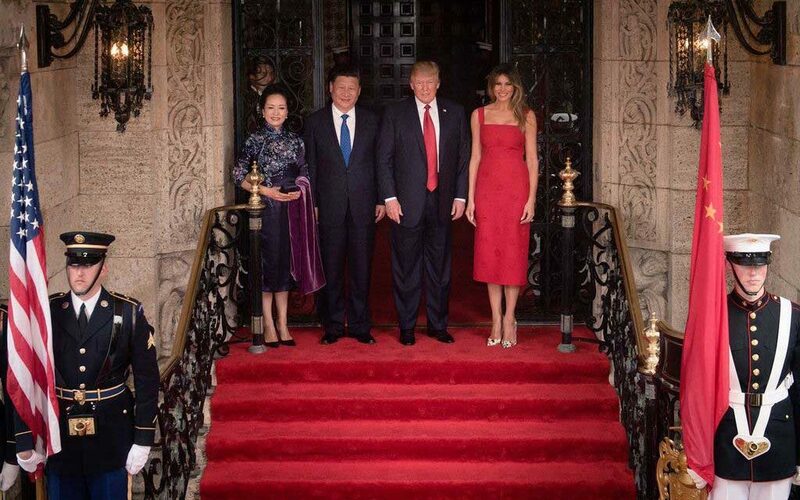 Unexpectedly, however, the Florida meeting between Xi Jinping and Donald Trump went exceptionally well, and there was hope for improved relations in the future. The 100-day trade plan, agreed upon by both leaders, brought the promise of an opening of markets and a decrease in the US-China trade deficit. The new trade agreement would grant US companies increased access to China’s financial markets, as well as permit the US to export both beef and liquid natural gas (LNG) to China. Additionally, US biotech companies such as Monsanto, DuPont and Dow Chemical will be granted permissions to sell their wares in Chinese markets. China, on the other hand, would be allowed to sell cooked poultry products to the US. Through the agreement, China also wins a soft power advantage. Because of the trade deal, the US will recognize the Belt and Road Initiative, which will represent a tremendous economic windfall for China. Supporters of the agreement, including both President Trump and Secretary of Commerce Wilbur Ross, saw the trade deal as a the first of many similar trade agreements, which are part of the US-China Comprehensive Economic Dialogue, a yearlong series of trade negotiations. While the US waits to see any quantifiable benefit from the agreement, China has already benefitted in the sense that the US sent a delegation to China’s Belt and Road Initiative conference in Beijing, from May 15 to 16, 2017, which acts as an implied endorsement of China’s massive, global infrastructure project. So far, the effects of the US-China 110 day action plan have been moderate, according to U.S.-China Economic and Security Review Commission. Critics of the agreement have complained that while the US must wait to receive monetary benefit from the agreement, China has already been paid in the form of increased US support for the Belt and Road Initiative. Furthermore, critics point to the fact that while the agreement was meant to be an opening of trade and relations, China continues to take steps which further restrict foreign access to the Chinese economy. One example is that Beijing plans to go forward with the new cybersecurity law restricting overseas data flows, which will prohibit foreign—including US—online news providers from operating in China through joint ventures. Other restrictive measures employed by the Chinese include US firms in China being subjected to mandatory technology transfer. In spite of the improvement in the overall outlook regarding US-China trade, some major sticking points still exist which threaten the relationship. Steel is an area which has long been in contention between the two countries and which has not been addressed by the new agreement. Consequently, the US is still debating whether to impose restrictions on steel imports. President Trump sees steel as a crucial defense-related commodity, as well as a former pillar industry that provided a great many Americans with jobs. Therefore steel fits nicely into his general protectionist policy. Although the US is one of the world’s largest steel producers, in 2016 the US imported about 30% of its steel. The Trump administration charges that China has flooded the market with cheap steel, driving down prices and making it more difficult for US producers to compete. To remedy this situation, Donald Trump is considering a blanket tariff on steel imports. The US already imposes tariffs on steel imported from China, and therefore steel industry experts suggest that increasing tariffs on steel would hurt US allies such as Canada, which provides 17% of the total steel used by the US. They also warn that the tariffs would increase the price of imported steel, as well as components manufactured from steel, which in turn would motivate domestic steel producers to raise their prices accordingly. Commerce Secretary Wilbur Ross, however is in favor of levying tariffs based on national security, national quotas, or some combination of the two. Representatives of the US steel industry, understandably, have also voiced their support of the tariffs. US companies dependent on steel as a raw material claim that they are already paying more for steel than their competitors in other countries. They argue that further increases in steel prices would make American products even less competitive on global markets. The Brookings institute suggests that neither the new trade agreement nor discussions focused on single issues such as steel is the best means toward balancing US-China trade. Instead, Brookings suggests that a meaningful transformation of the trade relationship will require structural changes on both sides. One example of structural issues would be the propensity for Chinese to save while Americans have a propensity to spend. This automatically creates a situation whereby China will export more and the US will import more. Another point is that China, as a major recipient of foreign investment, is home to a large number of foreign manufacturers who, during the period of 2010 – 2015, accounted for nearly half of China’s exports. This understandably adds to China’s trade surplus. The structural concept also manifests itself in the types of imports and exports both countries are producing. While the US runs a trade deficit with China in terms of goods, China runs a trade deficit with the US in terms of services. In fact, the US alone accounts for 23.1% of China’s trade deficit in services. This raises the question of whether the US should even expect to compete with China on goods trade or if goods trade should even be used as the measure for the balance of the US-China economic relationship. One suggestion, made by the Southeast Asia Iron and Steel Institute (SEAISI), has been to further open markets in both countries to increase bilateral investment, which in the long run would help to narrow the trade imbalance. This suggestion is in line with criticisms that China has restricted a number of sectors from US companies. Not merely an economic issue, the two countries opening up their various sectors to foreign investment could only serve to strengthen ties between the two countries, aligning their interests. This author sees the new China trade deal in an extremely positive light. While problems persist, there is hope now that, with time, those problems may be mitigated. The trade imbalances and complaints regarding individual products, such as steel, have always existed and probably will persist into the future. However, two countries experiencing difficulties in their trade relations does not have to signal a coming war or trade war. The US has been allied with both Germany and Japan since the end of the Second World War, in spite of the fact that the US runs a trade deficit with both. Systemic problems, such as a high propensity to save and a low propensity to import exist in these relationships, and yet, the relationships remain close and relatively unthreatened. Other issues, such as reciprocal access to sectors of the economy will have to be addressed for improved trade relations to have real meaning. Having said this, the US economy is not as trade-dependent as the Chinese, and so, trade may not be the best measure of the strength of the economy or the strength of the relationship. The new China trade agreement will take effect in July. This author’s prediction is that while not every goal will be achieved, the new agreement will be the first in a line of many, which will hopefully bring about positive changes. 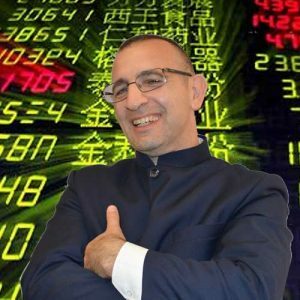 Antonio Graceffo, PhD, China-MBA is the author of seven books about China and Southeast Asia. He has worked as a lecturer and as a program director of business education and research for joint venture universities in China. Antonio holds a PhD from Shanghai University of Sport, where he wrote his dissertation, in Chinese. In addition, Antonio received his China-MBA, from Shanghai Jiaotong University, and is currently completing a second PhD at School of Economics Shanghai University, specializing in China –US Trade, China’s Belt and Road Initiative, and Trump-China economics. His China economic reports are published at The Foreign Policy Journal and The Shanghai Institute of American Studies, a China government think tank.